Come and join me at Cropfest on November 5th. 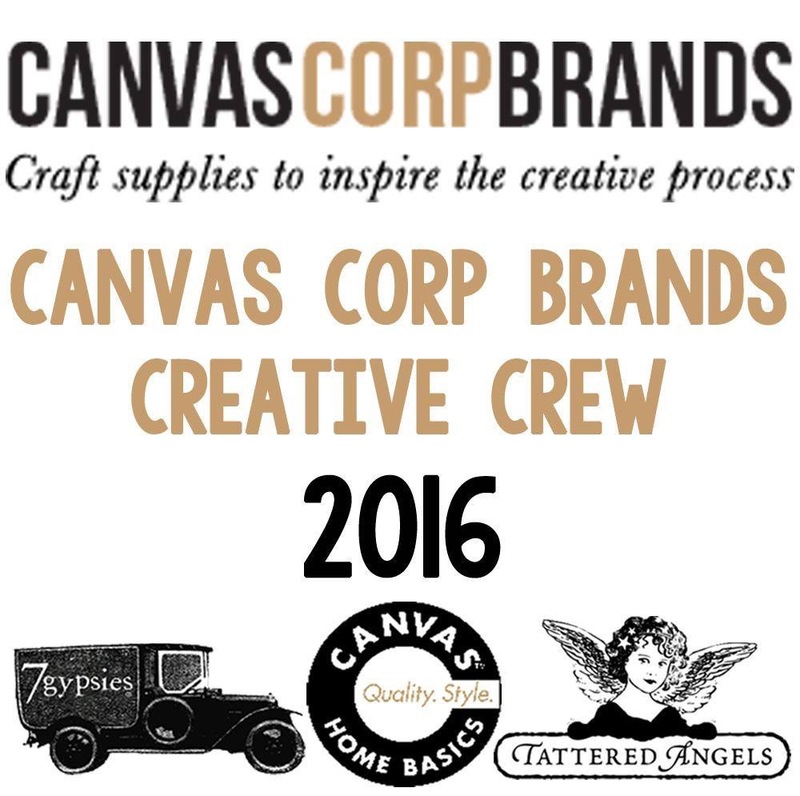 I am doing this class that features Canvas Corp Brands and Beacon Adhesive products. It is a mixed media wall hanging or an item that you can put in a shadow box. Sign up here! if you are attending the event, stop by at 930 for a little make and take also featuring these companies products! A few projects from the last little bit! Canvas Corp and Beacon Glue so little time, so many great products! Here is a few items from this summer using these products. Using a lot of CCB products lately in altered item projects. Here is a altered clock as well as a little clipboard with printed canvas. Been a bit behind in sharing lately. Here are a few layouts from the last few events I have gone to. Using Beacons Mixed Media and Zip Dry Glue for them all! Hope you enjoy! 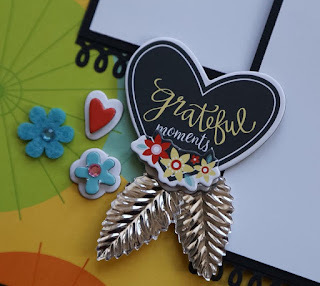 If I had to list my top fav scrapbooking companies, Creative Embellishments is definitely in my top 5. I love all their creations that they laser cut. I like to use them as is or decorate them up with inks, paints or sprays....you should check them out here. I layered the CE chipboard over a tin that had a heart already on it. Then added everything else, including a little CE love piece. I also wanted to point out another new product I have been working with, Beacon Makers Mix. A light concrete mix that dries in about 30-40 minutes. The flowers are made from the mix, left plain and attached with Beacon's Mixed Media Glue...nice and tacky and holds really quickly to all types of items. Just a couple of layouts from Miss Lizzy crop a few weekends ago.... the second one is an ode to the Scrapbook Nerd girls who had their great shop at the event. When two great companies and one great event come together! Check out this pin up board I created and taught at Scrapfest Kitchener! Using a multitude of embellishments 24 of us make several projects using the contents of mason jar full of goodness we made 6 different projects. This one was the main one! During the class I introduced the girls to Beacon 3 in 1 glue which held our project together great! I also incorporated another company into the mix Canvas Corp Brands, the denim flower, cord, paper feathers and cloths pins were a great addition to the projects. We also made a journal, cards, a decorated mason jar and bookmark. Messing a bit today, I love these birds.....Beacon 3 in 1 works great on big metal items! 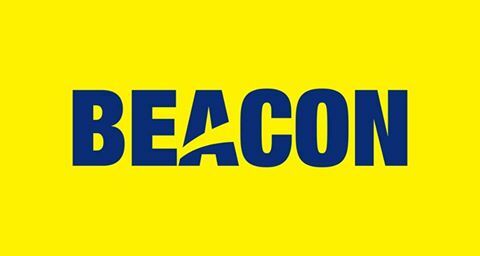 Love my Beacon Glue! On the Canvas Corp blog you will find a round up of projects made with denim and Canvas Corp products. It was cool to see how everyone use denim into their projects. I had fun making them and cutting up a old pair of jeans! Here is a link to the denim post on the Canvas Corp blog and here are more photos of one of the projects I made. Cell phone holder - this was made from the back pocket of my jeans, I added some Canvas Corp natural canvas fringe around the edges by plucking out some of the threads from the canvas. I also added a handle make from Kelly Panacci Happy Flappers fabric. The handle is pinned to the pocket with 7 Gypsies Antique Pins. 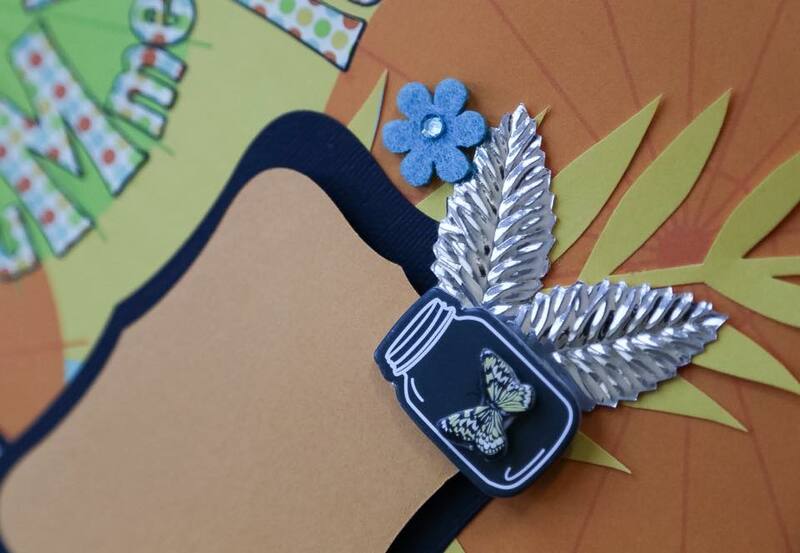 Of course the flower and dragon fly is from my stash and the whole thing is put together with Beacon 3 in 1 Glue. Heading out next weekend to support Miss Lizzy's Foundation. It is going to be a great time with old and new friends. If you are interested in attending, click here to get more info. I will be teaching a Scrapbooking 101 Plus class. Just finished up kitting the class for next weekend for Miss Lizzy's crop. The class kit is worth over 20 dollars, so the class is a steal at 12.50! 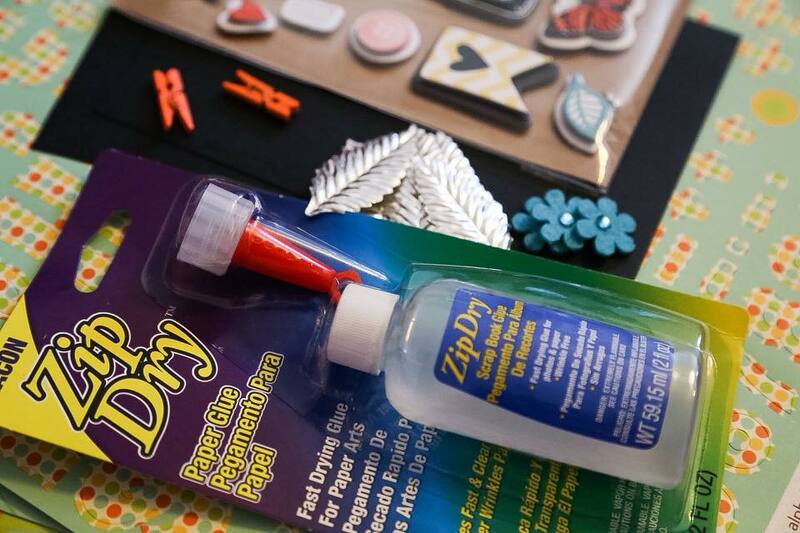 Everyone receives in the kit a bottle of my favorite glue, Zipdry! Zipdry retails in Canada for 13.99 at M's.....so it is worth coming just for the glue! Very limited spots available! Sneak peak below as well. Fun summer double pager! All proceeds go to the foundation. I am a self confessed workaholic. So you may ask when do I have time to be artistic? Well anytime I am not working cause' I am also a scrapaholic and need to be creative. One balances out the other and vice versa, if you know what I mean. I am a dual brain thinker, very analytical and logical by day, but creative and intuitive by night! I have a wonderful DH that supports my habit. I have no children of my own but have a plethara of kids in my life that my friends generously donate to my photography.